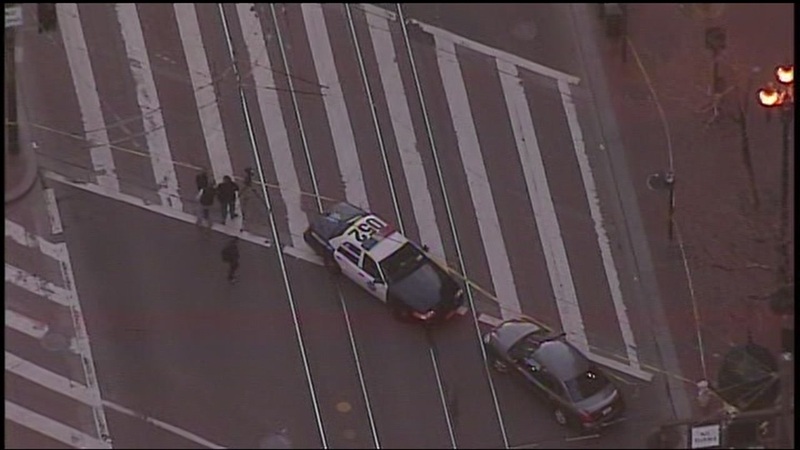 SAN FRANCISCO (KGO) -- A bomb threat made against the Anti-Defamation League's Northern California office in San Francisco prompted the closure of Market Street between Kearny and Grant streets Monday afternoon, affecting the F Market Streetcar along with several trolley and coach motorbus lines. The San Francisco police say no device has been located, but they plan to search the building as a safety precaution. The portion of Market Street between O'Farrell and Kearny streets was reopened around 7 p.m.